Ahhhh, Arkansas. After several days of blowing around in the red Texas dust, we crossed into Arkansas with some trepidation. Neither of us had been there before, and, quite frankly, we’re tired and weary of the struggle to camp. The Fireball is dirty, we’ve got broken stuff, and our spirits are a little low. We want warmth, a bit of sunshine, peace, and calm. Millwood State Park. Site 74. Best.campsite.ever. Our own swing on a spit of land extending into Lake Millwood. Picnic table. Fire ring. Hiking trails. Quiet. Sparkling clean bathrooms. $15.90 for the evening (water & electric). No neighbors at all. We can hardly believe our good luck. A brief hike with Jezzy confirms the awesomeness that is Millwood State Park. Egrets. Birds everywhere. A half-dozen deer swimming from one island to the next in the lake. Smiling, helpful Rangers. This is why we camp. This is what retirement is all about. The Fireball, our swing, and the Lake. 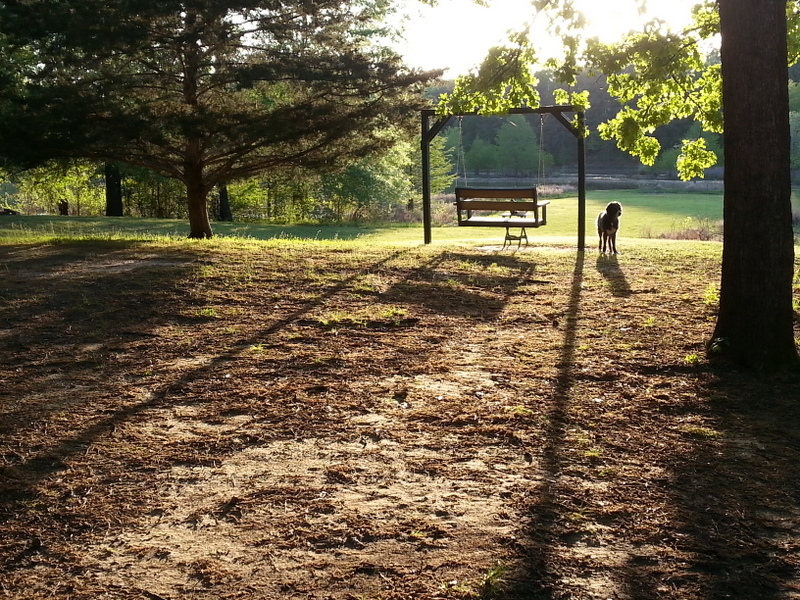 Long shadows enhance our perfect location. Happy Hour will soon commence. 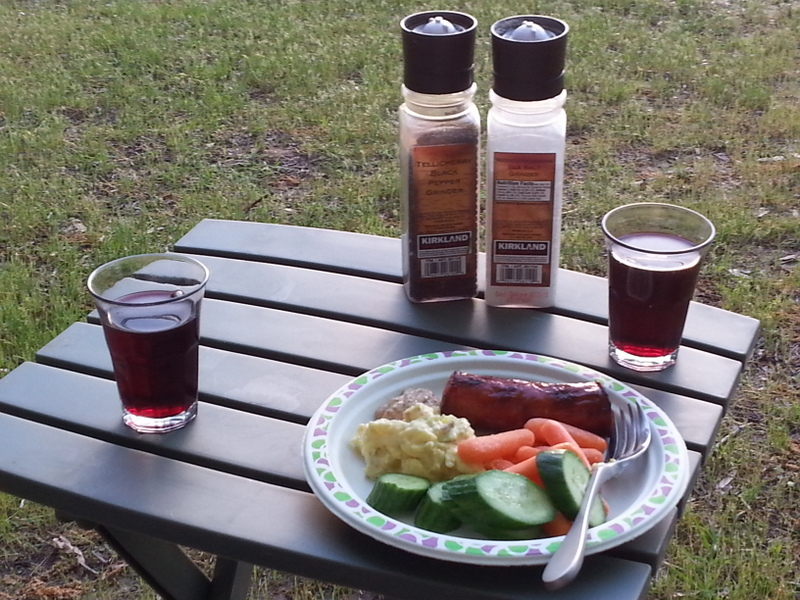 A simple dinner, consumed outdoors. 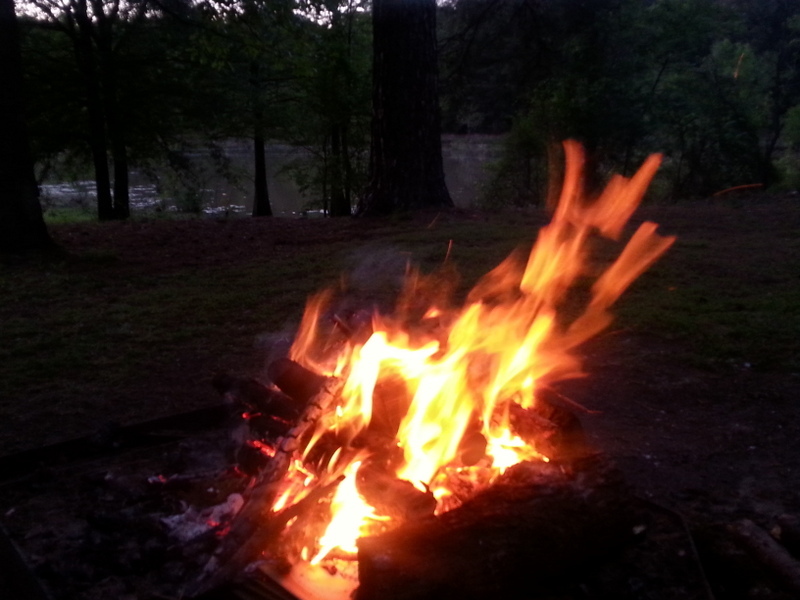 A campfire with wood we scrounged from the campground. Campfire into the dark. The fire and frogs are the only sounds. Camps like this are why we camp. 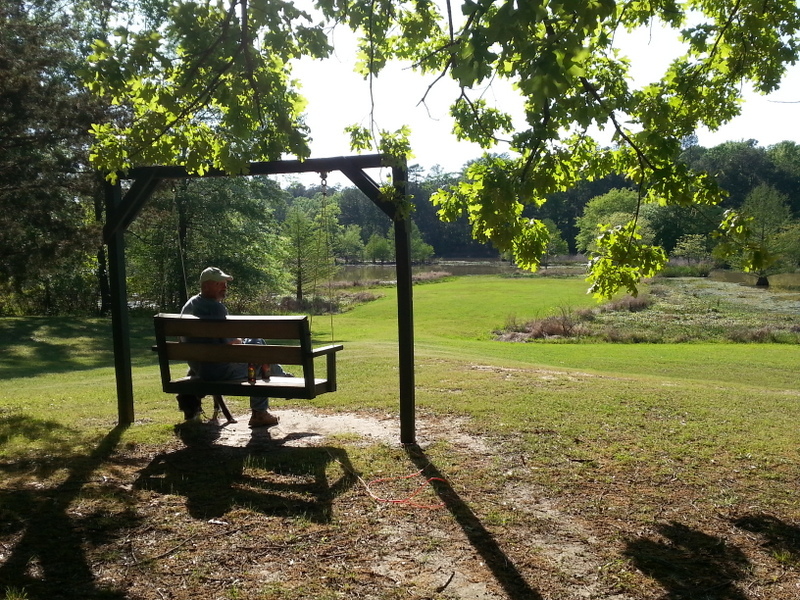 This entry was posted in Arkansas, great outdoors, hiking, retirement, RV life, simple camping, T@DA, weather and tagged Arkansas, camping, hiking, retirement, RV life, simple camping, T@DA, the great outdoors, weather by Judy Crankshaw. Bookmark the permalink. It’s a really nice park. We are hoping to get there on our way home from the southwest again this year. Have fun. i was visiting my folks in Arkansas and me and my husband love to camp in Arkansas so pretty and i came cross this park on the internet and had to see it for myself and i love it as he loves to fish and myself i love to do birding and when we came threw to look at the park its was so cool i made reservation right away and found me some new birds i didn’t have on my list i was so excited …. did you guys ever see any alligators when you were here????? I think we can probably outrun them! exleast we hope anyways lol what size camper did you guys have in this spot we just upgraded to a 31 foot ??? Our camper is only 18 feet, but I don’t remember thinking that these were small campsites. Bet you won’t have any problems with it at all. 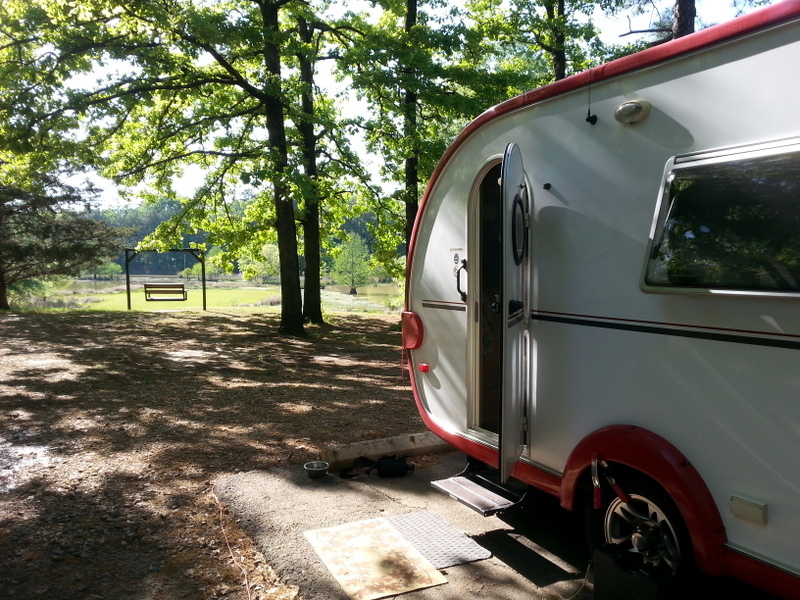 Today, we are in Crater of Diamonds SP, near Murfreesboro, Arkansas. It’s beautiful here, but we struck out on diamond mining. Awesome! I enjoy your blog! Well, if you want sunshine, nice temps, etc. Stay away from Michigan. We had snow this morning. Unbelievable! By the way, my bike needs a tune up. Please? Oh, Judy! It’s about time you found a beautiful, comfortable, peaceful place to camp. It looks great! Your description of the way you felt in your first paragraph is the reason we probably will never fulltime. Things just get dirty, broken, too cold, too windy, too hot, and just plain too hard sometimes. But then when you find a peaceful place you love, it sure helps us forget the hard times and just bask in the wonder of the moment — which is what living is supposed to be! :). I think everyone would love camping if they found a great spot from time to time. More people should just try it. 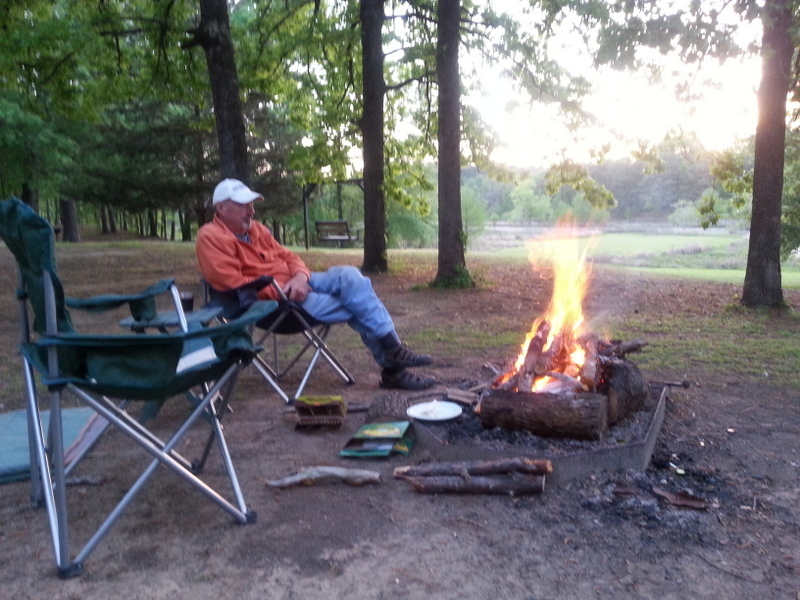 We’ve gotten so spoiled with having all of these great campgrounds to ourselves. This sure would not be the same wonderful spot if we had to share it with 99 other campers.